Home for Good Dog Rescue is a 501(c)(3) non- profit organization. As such, we strive to apply a high level of transparency in all our operations and in our relationships with our donors, partners and other stakeholders. Our commitment to being open includes financial disclosure, responsiveness to requests for information, and accurate representation of our policies and practices. Below you will find our annual fiscal reporting including our IRS Form 990s, and audited Financial Statements. 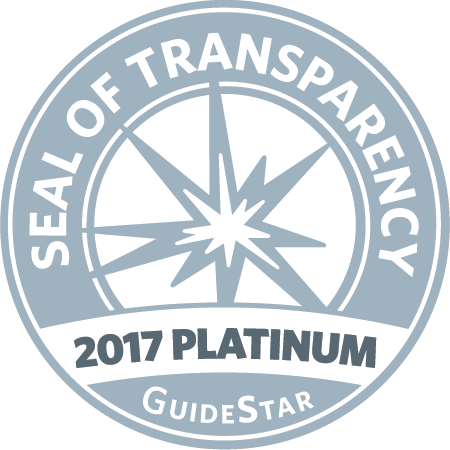 Home for Good Dog Rescue is now one of only about 3,000 non-profits to earn a “Platinum Seal of Transparency,” out of the 2.5 million organizations represented on GuideStar! GuideStar is a 501(c)(3) public charity that collects, organizes, and disseminates information about every single IRS-registered nonprofit organization. They provide vital info about each nonprofit’s mission, legitimacy, impact, reputation, finances, programs, transparency, governance, and more. Please Note: Our 2018 annual report will be available online in January of 2019.